Our popular reverie about the Vikings would most certainly include the Norsemen raiders deftly maneuvering their iconic longships and boats. 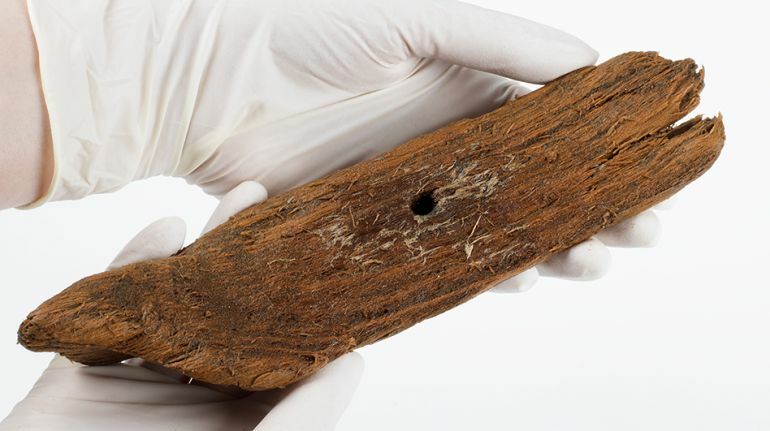 Well it seems that Vikings themselves also liked to admire and pass on their sea-borne tenacity, as is evident from a 1,000-year old Viking toy ship discovered at an archaeological site in central Norway. Discovered in a dry well at a small farm in the town of Ørland (on coastal tundra), the wooden object was designed in a fashion that partly resembles the drekar ship (or dragon – derived from the famed dragon-head on the prow) with its uplifted prow. This toy boat says something about the people who lived here. First of all, it is not so very common that you find something that probably had to do with a child. But it also shows that the children at this farm could play, that they had permission to do something other than work in the fields or help around the farm. 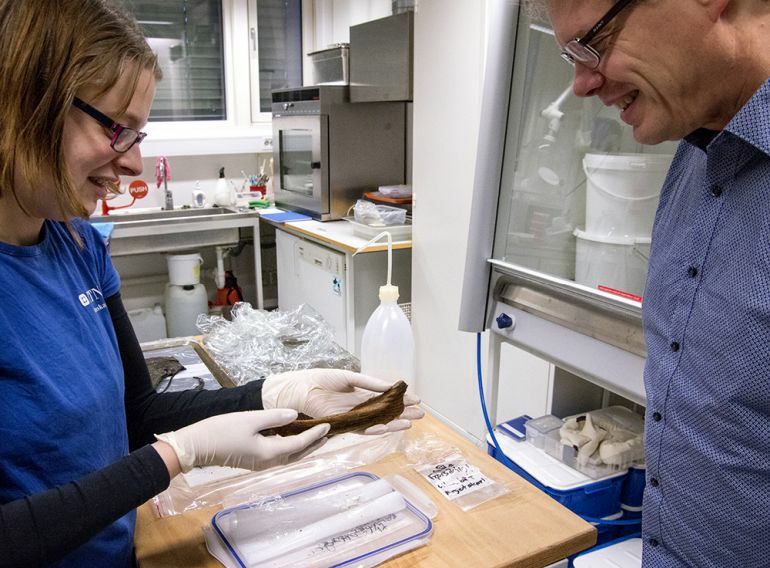 The archaeologists also found leather fragments from shoes in the proximate sites (and in the aforementioned well), all dating from circa 1015-1028 AD. Additionally, they also identified a bevy of farms and farmyards in the area, thus suggesting a conglomeration of early medieval homesteads possibly fueled by community life. Now interestingly enough, the Ørland site is located far from what had been ocean trade routes as well as land-based trade routes, while the homesteads didn’t really pertain to any commercially significant settlement. In spite of such ‘backwater’ characteristics, the farm life of an ordinary individual was not so rigorous as one would imagine – which would have given someone the leisure time to craft a toy. And quite fortuitously, this parcel of social history could be discerned due to the high water table in the well that preserved the 1,000-year old object. 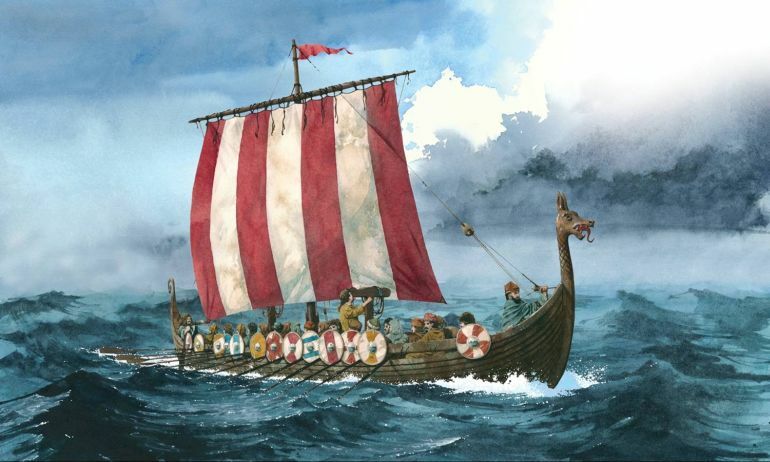 And lastly, since the subject entails a Viking ship, Viking raiding vessels were (without a doubt) one of the defining features of Viking military endeavors. However these vessels had variance in their designs – which is contrary to our popular notions. According to historians, this scope of variance can be credibly hypothesized from the sheer number of technical terms used in contemporary sources to describe them. To that end, the Vikings before the 10th century made very few distinctions between their varied merchant ships and warships – with both (and other) types being used for overseas military endeavors. Simply put, the first Viking raids along the English coasts (including the plundering of the Lindisfarne monastery in 793 AD, that marks the beginning of the Viking Age) were probably made with the aid of such ‘hybrid’ ships that were not specifically tailored to military purposes – as opposed to the ‘special’ ships showcased in The Vikings TV series. However in the post 10th century period (corresponding to the time when the toy was crafted), the Viking raiders boosted their organized numbers by military establishments or ledungen. As a result the Norsemen did strive to specifically design military warships, with their structural modifications tailored to both power and speed. Known as snekkja (or thin-like), skeid (meaning – ‘that cuts through water’) and drekar (as described before); these streamlined longships tended to be longer and more streamlined, while accounting for greater number of oars. On the other hand, increased trading also demanded specialized merchant ships or kaupskip that were broader with high freeboards, and depended on their greater sail-power. Artist’s representation of a Viking longship.